Dr. Michael Cortese has earned degrees from Union College, Syracuse University, and SUNY College of Optometry. He has served as Clinical Director for TLC Albany since 2004 and Northeast Regional Director since 2008. 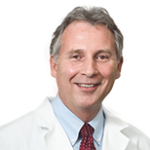 Dr. Cortese has treated over 12,000 refractive procedures, co-authored three international research papers, and performs continuing education lectures related to advancements in vision technology.